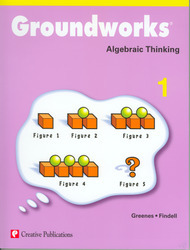 Groundworks: Algebraic Thinking helps students develop their reasoning skills in algebra by providing innovative problems that connect arithmetic and algebra. Each set of problems has a strong emphasis on reasoning and contains ample teacher support. Each title is available for grades 1-7 and contains reproducible pages.